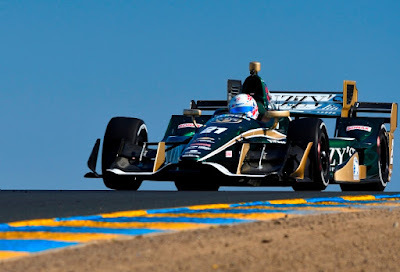 The rumors that began to crop up around the paddocks during the GoPro Grand Prix of Sonoma season finale of the Verizon IndyCar Series held at Sonoma Raceway September 18th had many scenarios bandied about. One of the more far reaching was that the new American Driver of the series, Alexander Rossi (2016 Rookie of the Year | INDY 500 Winner | finished season at P-11) was seen coming out of a Team Penske transporter during the previous race at Watkins Glen. This rumor was put to bed recently when Andretti Autosport was able to retain Rossi as Bryan Herta's agreement with the Andretti organization became more formal for the 2017 season. American Driver, American Team ... American Dream. Today, the announcement that caught everyone's attention that involved American Team Penske and the pursuit of the American Dream was the confirmation that American Driver Josef Newgarden (finished season at P-4) was signed to drive the No. 2 car for the 2017 season. He will replace last season's INDY 500 winner and season points leader Juan Pablo Montoya, who ended last year in a tie of points after the GoPro Grand Prix of Sonoma season finale and lost out on the 2016 Verizon IndyCar Series Championship through the pre-established tie-breaker to Ganassi Racing's Scott Dixon and finished P-2. This year JPM finished P-8. The rumor of Rossi had some plausibility since his career had been rather extraordinary with his early rise through to an F1 ride, to signing with the Bryan Herta / Andretti Autosport combo team and winning the INDY 500 first time out. When one thinks about it, this would be all too soon since landing a seat with Team Penske is never a gamble for the team - they always have the patience and the time to pick just the right fit and talent for the organization. A look at Josef Newgarden's rise through the ranks through these last five years, points out how focused this determined driver really is - Tony DiZinno's NBCSports review HERE. MODERATOR: Good afternoon, everybody. Welcome to today's media teleconference introducing Josef Newgarden as Team Penske's newest Verizon IndyCar Series driver. Along with Josef, we have Team Penske president Tim Cindric joining us today. Earlier this morning we announced that Josef Newgarden is joining Team Penske as the driver of the No. 2 Team Penske Dallara/Chevrolet beginning in 2017. This obviously comes on the heels of one of our most successful seasons ever in IndyCar where we earned 10 wins, 11 poles, our 14th IndyCar championship with Simon Pagenaud and a 1-2-3 sweep in the points standings, something we had not done since 1994. Josef, you've been able to spend some time in the shop this morning. What are impressions of Team Penske so far? JOSEF NEWGARDEN: Well, it's been a whirlwind for me. It's all happened a bit fast, which is great. It's just like racing. Everything goes quickly. So for me, it's been a pleasure to try and meet a lot of the guys this morning within Team Penske. You know, trying to absorb as much as I can. It's almost information overload for a guy like me. Really excited to be here and hopefully add some more value to the group, which is going to be hard to do. They have got a lot of amazing people here, whether it's the manager, the ownership, sponsors, all the crewmen, the drivers. It's really a lot to get your head around. So I think for me, I'm just trying to absorb as much as possible and taking in the experience and being prepared for the long off‑season that we're going to have before we get to St. Pete next year. THE MODERATOR: Tim, can you tell us why Josef is such a good fit to drive for Team Penske? 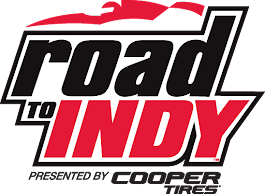 TIM CINDRIC: Yeah, I think that from an historical perspective, you look at it, and you know, he's the first American that we've had driving in IndyCar here since Sam Hornish, so it's been ten years. That's not the reason we hired him. Obviously we look for the guys that can drive the car and that's what we've always looked at, but it's a bonus, for sure. The fact that as we look at it, we wanted somebody that we could build on for the future. It's no secret that he's bringing the average age of our drivers down a little bit, so I think it's somebody that we can build with and I guess the most important thing is showing that he can be successful at this level. He's somebody that we met with when he was the Indy Lights champion. I remember meeting with he and Rick and Roger after he won the Lights Championship, and he's somebody we've kept our eye on from that point in time. No different than when we signed Simon, you have to decide if you're going to make a place for somebody like that, or if you're going to race against him for awhile. So we figured he was better off being on our side than on the other side. Q. You're coming off an amazing season, given what transpired in June at Texas. How does it feel to be driving for Penske now? JOSEF NEWGARDEN: Well, it's amazing. I think for me, as a still hopefully, relatively young guy in the sport, it's an amazing opportunity. It's something that I think you really have to take a hard look at and make a decision on, and for me, it was difficult to look the other way at it. I think it's a great place where I can learn new experiences, try and grow as a driver, and kind of open up my whole role within the group and try and just become better within the sport. So I mean, just to put it simply, it feels amazing. It's an amazing honor, just for me, I just want to be able to integrate into the team and be a part of the whole system that obviously works really well together already. Had a very successful year in IndyCar and they are very hard to compete against. It's fun for me to be a part of that now and hopefully add some value to the whole group. Q. And for you, Tim, with Josef taking over Juan Pablo Montoya's seat, is it pretty safe to say that JPM is leaving the team after this year? TIM CINDRIC: Well, it's something that we're still working through. You know, when we sat down with Juan around Toronto, and had told him at that point in time that we weren't prepared to make any decisions on what we were going to do going forward until the end of the season. And we wanted to understand, really, what our options were, and we were very up front with him about that whole situation. And all along, we said that we'd like him to be part of our team in the future. That doesn't necessarily mean driving our No. 2 car full‑time. We've talked to him about, you know, we've got a seat for him at Indy if he wants one, and if we do the sports car program, we'd like him to be involved in it. You know, at that point in time, he said, look, I really want to drive at least another season of IndyCar. I don't want this to be my last season. If it was last year, it would be a little easier to take, but this year, I still feel like I have some unfinished business. And we agreed to just explore different options at that point, which is really what he's trying to do right now. Finding out if there's a full season ride available, and we said that our offer is open to him and we'd love for him to continue with our team. It's just something that we needed to decide whether we were going to position ourselves to do that for another year and miss the opportunity to have Josef as part of our team for the future. So, a really difficult decision for us, because Juan has really been a big part of our success. Despite where he finished this year, he pushed our guys very hard. He's been a great guy to work with and would continue to love working with him in the future. Really, the ball is in his court. It's not the first choice for him, but we'd like to continue some association with him if it makes sense for him. Q. When you were at Ed Carpenter Racing, that was always known as the little team that could. Now you're at the big super power team that always does. And the resources that you have at Team Penske when you go around their shop and all that, now that that's going to be at your disposal, what goes through your mind? JOSEF NEWGARDEN: Well, I think pressure is always present wherever you're at. I always put pressure on myself with any situation I was in driving in IndyCar. I think we had high expectations at ECR, and rightfully so. I thought we had a lot of talented people there. We had a really great process, great ownership and great partners. Really had a lot of tools to be successful. With that, there was a lot of pressure there to do a good job, for everyone involved, our partners, our ownership. I don't foresee that shifting too much. I think you're going to have that sense of responsibility anywhere you race, but it certainly is hard to not be inspired, I guess, or overwhelmed when you walk into the Penske establishment. It's filled with a lot of great people, as well. A lot of great partners. Tremendous support from the ownership. I think that same type of pressure that I felt at ECR is really going to actually translate pretty well to what I feel here, as well. Q. Two of your teammates live in the area, live in North Carolina; Helio lives down in Miami. Will you be relocating to North Carolina? JOSEF NEWGARDEN: You know, I would think so. I'd like to be close to the team and to be able to absorb as much as I can over the off‑season. I think that's really important. You've really got to integrate yourself well and give yourself the best shot to help the group, especially for me going into 2017. So I haven't really had much time to go over that stuff. This has been a pretty fast process and we're trying to just hit the ground running real quick now and today, and I'm absorbing everything I can as fast as I can here at the shop. I'll try and sort out a living situation later on, but I would think at some point, yeah, I'm going to have to locate down here so I can be close to the team 100 percent. Q. Josef for you, when I look at it from a teammate situation, it's been a rotating door. You either haven't had a teammate, you've had one‑off teammates, you've had sometimes road course, sometimes oval teammates. How nice is it going to be having the consistent, not just one teammate, but three of the best drivers on the grid as your teammates? JOSEF NEWGARDEN: Yeah, I think it will be great. It's going to be a different challenge for me, I think, from an establishment standpoint. You've got more guys to work with. That brings more engineers to talk to. It changes the discussion, the whole dynamic that you go through on a race weekend. I'm excited for that. It's going to be a shift for me, something I've not been used to. But I don't want to discount what I've been up against in the past. I've had a lot of help from my previous owner, Ed Carpenter. 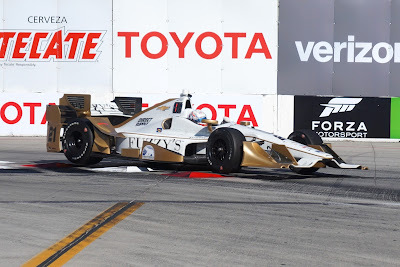 He was a great teammate to me, very strong on the ovals, J.R. Hildebrand, Spencer Pigot, Luca Filippi. There's been a lot of camaraderie in the past for me and I've had a lot of great guys to work with and bounce things off of. What's really going to change is there's going to be more of that. There's going to be more available here at this group, which I think you can see why they operate at such a high level, when you get that many talented people together, it really helps elevate the whole program and you push each other a lot more. It's going to be different. I don't know what that's going to be like. I'm excited for it. I hope it pushes me to a new level. I'm probably going to figure some things out about myself I didn't know and hopefully those are good things; the bad things, I'll try and fix them pretty quick. But I think it's going to be a great change. Q. When would you expect to see Josef make his first test in the car? TIM CINDRIC: Monday morning in Elkhart Lake. We'll be taking all four guys to Road America on Monday, so he'll get a chance. It's really a unique opportunity because a lot of times when we make a change like this, it's a while before they get in the car. We had scheduled a test independent of whether we made a driver change or not. 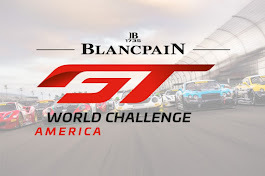 So that's not really the catalyst; the catalyst for us is to get some permanent road course testing in before the winter months, because we feel like it's something that we need to understand a bit better before we go into the off‑season. So the timing was good for him and he will also be doing a test at Gateway later that week, as well. He's going to get some seat time right off the bat and be able to get in the trenches with our guys and get acclimated very quickly so that in the off‑season we can, I guess, speak from experience. Q. Congratulations. You're a Detroit guy now. JOSEF NEWGARDEN: Absolutely. It's the Motor City. Q. Tell me, the makeup of the team, you have an Aussie, you have a Brazilian and a Frenchman. Are you going to be able to merge with these guys? Got a lot of competition up here with Team Penske. How do you think the synergy will be and how tough is it to tell Ed that you were leaving and how did he take it? JOSEF NEWGARDEN: Well, I think to take your first question, I don't know. I mean, I've not had this type of dynamic with personalities before like we're going to have. But I think you can definitely see there's a strong work ethic and a strong sense of team work here within Team Penske. So I think the challenge aspect of having three other really talented drivers around me is only going to be a positive thing. There's guys from all over the world that bring a little something to the table, and I'm going to try and do the same. I'm going to try and bring a little something extra that these guys haven't seen before which helps the whole program. And in return, I'm expecting to get a lot of that from those guys. I'm excited for that mix. I don't know what it looks like. Don't know what it feels like yet. Like Tim said, we're going to have an opportunity to do that really quickly, which is unique. It just kind of worked out, great timing. Excited to see what that brings. On the inside, you know, it's very difficult. It was really difficult ‑‑ it was almost easy up until the end of the season, because I didn't really put much time into it. We really just focused on trying to win the championship, get back in the hunt after the whole Texas deal. 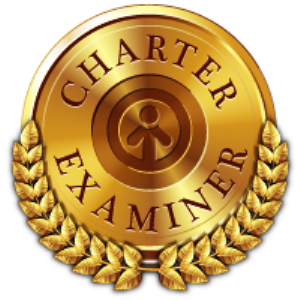 We had a great effort going all year with ECR, and so I didn't really spend much time thinking about it. I waited to spend a week and take some time after the season finale to really assess everything; and I came to the conclusion of where I wanted to go and where I saw things and where they probably needed to head. And when I had a conversation and made the decision with Ed, it was difficult. I mean, it was a great partnership. It was a great, great environment for me and to do something different is never easy, but I think at this point, it can be a very positive thing for the growth of my career, and I think ECR is going to come out great from it, as well. Q. Jokingly, in the spirit of the political season, I wonder if you can offer an endorsement for who might replace you at ECR. You've worked with Spencer and J.R. and there's some interesting candidates out there for sure. 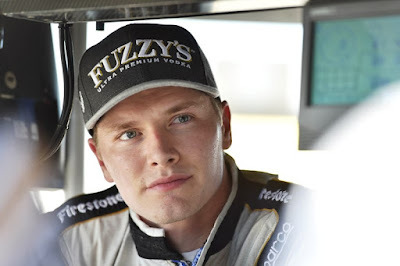 JOSEF NEWGARDEN: You know, fortunately I'm not in the position where I have to decide those things. So you know, luckily that's down to the different people. Like I said, Ed's got a great group with the ownership they have over there, so I'm sure they are going to make a great choice. They have got a great team. So I expect to be chasing hard to beat them. I know what it's like on that side and they have a really good product. I don't think it's going to be easy coming to the other side trying to beat them now. So I have no idea. I hope they make the best choice, and I'm sure they will, and we'll see where they land. Q. You mentioned this came together rather quickly. But you also knew that the Penske organization had sort of been watching you for a few years there. What's that dynamic like, and when did you kind of get the sense that if the numbers and the contract stuff could be worked out, that this was going to be the place that you wanted to be? JOSEF NEWGARDEN: Well, you know, I don't think I did. I think it was ‑‑ fortunately it was a short, but it was a short period of time where I was in limbo. I actually didn't have a job. So you hope it's going to work out. But like I said, I didn't have much time to think about it during the season because we had such a great effort going. We all really wanted to focus on trying to win the championship, which was the most important thing. And then when I finally did start to think about it after Sonoma, really aggressively ‑‑ I knew there would be other opportunities. I knew there would be other interests and I knew I wanted to try something different. I knew that was something that I was looking at heavily, and I think at that point, you try and go a different direction and hope it all works out and fortunately this time, it did. Q. Josef seems a bit against the grain for some of your recent hires in that he's a little younger than Simon and Will and didn't bring two championships like Sam did. What made him the guy even back when you spoke to him several years ago that you thought he was going to be a guy that you had to have eventually in your lineup? TIM CINDRIC: Well, he's shown me he's a winner. He's shown me he can handle himself on the racetrack and off the racetrack, and that's really the core ingredient for us, is somebody that can work in our environment, because our environment is not for everybody. But at the same time, as Roger has always said, it's hard to run a driving school with the expectations that are here and we need to also have somebody that we feel like can work within our group, our teammates and that kind of thing. When you look at who we've hired over the years, it's been an important part of our structure, although it's not the No. 1 requirement, we want people that can drive race cars and represent our organization and those that we represent in the right way. Felt like he fit that mold. Obviously he's got a longer runway in terms of age than maybe some of the hires have or what‑have‑you, but that's really not the motivator, either. It's more about how do we build the strongest team we have for the upcoming years. We felt like, as I said, there's never a good time to make a change, especially when you've had success with the guys we've had. You know, replacing Juan Montoya with anybody, that's a difficult call. I'm sure if he doesn't end up racing for us in the future, he'll still be winning races and he'll still be one of the guys to beat. You know, he's not done for sure. So it's just a matter of us trying to understand what's best for us, and short‑term and long‑term, I guess that will all play out, but this is where we are. Q. Have you identified a potential long‑term partner or whether we can expect a sponsorship partner or whether we can expect to see the No. 2 in the kind of like variety that we have seen the last year like PPG, Verizon and DeVilbiss? TIM CINDRIC: Yeah, I would say there would be a few exceptions to that, additions or subtractions possibly. Our 2017, our total lineup for every race isn't totally defined. We needed to get this piece of the puzzle out there first. But I don't see it being dramatically different. Q. Do you think that Joseph's personality, and obviously now reputation for sheer speed, do you think that that will help attract a more long‑term partner? TIM CINDRIC: We've got a lot of personalities around here, as you know (laughing). I think he'll bring a different dynamic for sure, and I certainly see it as a positive going forward. I think it helps the potential. I don't think it hurts the potential in any way. 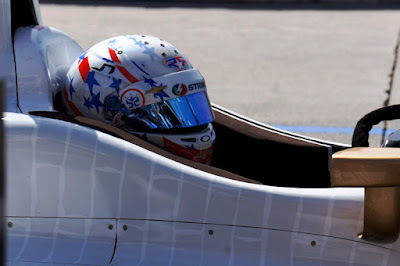 Q. I wanted to ask whether you feel like, as someone referred to earlier, you're the only American and you're suddenly in a prominent position; whether you feel like kind of an almost patriotic sense of pride ‑‑ not just pride, but actual dependency, like the future of IndyCar is depending on you. So many people say that IndyCar will spring to even greater prominence once we have an American champion again. JOSEF NEWGARDEN: Well, I think a great championship is going to be built on a lot more than one person. I can't see that coming to fruition. There's definitely a sense of pride in being American, especially joining a team like Penske. I think it's one of the most successful teams in the world and a team you dream about being a part of. It really is, it's kind of the American dream, the team itself. So to be a young, American guy; to get an opportunity to drive with this type of group, it's everything you could ask for. It's everything you could dream of. And I'm sure that's going to resonate well with some people. I don't know how much that moves the needle or not. I'm not the right guy to ask that. But I think, yeah, I think for sure, you know, there's a lot of things that are going to help move the needle in IndyCar Racing, and I think you've already seen a lot of them. I think we are on a good trajectory right now and there's a lot of excitement within the sport and what we are doing with IndyCar Racing. I hope to add to that. Winning races is all I care about. It's my focus for the team and trying to help them win championships and the Indy 500 and I think if there's people that are interested in an American doing that and Team Penske, maybe it will help the cause. But I don't know if that's the whole equation. Q. I know it's probably premature, but could you give a status update on Helio Castroneves? TIM CINDRIC: That's a broad question. He's down there trying to fight the hurricane today. If you're asking about our driver lineup for next year, this is the only change. So yeah, he's a guy that as I've said before, he's been a big part of our team. When you look at the definition of kind of team work and leading by example on and off the track, he's certainly done that. He's a guy that, like anybody else, his career is not forever, either. He'll be the first one to tell you that. He's a big part of where we've been. He and I started with this team at the same time, so certainly a lot of loyalty there and on both fronts. Q. Everybody gets into racing and they know who Roger Penske is and they know that that name is synonymous with success. Did you ever dream of driving for Roger? Did you ever dream about this or envision this? Did that ever enter your mind? JOSEF NEWGARDEN: I think for me, I watched everything when I grew up. 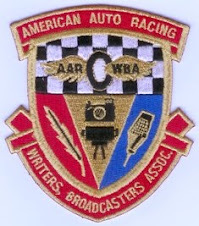 I saw NASCAR, Formula One, sports car racing, IndyCar racing, numerous Indy 500s on TV. Never really got to the race to see it in person until later on in life. But you always knew who the Marlboro cars were back in the day and they always had those iconic liveries and they always were well kept and they always were distinct within the field. If I was going to give you the best answer, that's what stands out to me when I was younger, and I always thought, those are the coolest cars out there and I want to drive one of those. You know, I got into racing actually relatively late. I didn't start racing, truly, until I was 13. So you know, it doesn't date back to me being four or five that I had this dream to drive for this team or that team. I think the more and more I got immersed into racing and really started trying to learn about it and get my hands around everything and understand where I wanted to be; I think the more respect and history that I learned about Penske Racing and how amazing it would be to be able to drive for an organization like this; it's a huge honor to get this type of opportunity and to be a small piece of it. So to answer your question, yes, it's probably just in a different way for me. I think my career was a little different in the way it progressed up. It's an honor. I think this place is the American dream, and it's one of the best teams in the world. So it's crazy to be a part of it now. Q. Just a quickie. Roger likes to get on the phone and talk to drivers. Did he actually get on the phone and offer you the job, and what was your quick response? JOSEF NEWGARDEN: You know, I don't think I've talked to Roger on the phone until like 24 hours ago. That was the first time I ever had a phone conversation with Roger, really, which was great. Really, this team has been so easy to get immersed with, in such a short period of time. I've had a lot of help from Tim in a short amount of time and Roger to try and sort through something and see if it would work and it was a very easy decision to make when it came up. It was a quick process but it was very easy to see this was the direction I wanted to go. So yeah, to answer your question, I think I've had help from a lot of people, Tim and Roger have just been great to me. I don't know much about them to be honest with you. I'm still learning. We talk about just being here today trying to take everything in; I'm like trying to tread water right now as a young guy. I don't know much about it and I'm trying to learn about everyone. But they have been nothing but gold to me so far. I can't tell you how easy it is to get to know these people and how well they take care of you. Q. Will Brian and Myron and the rest of the crew pretty much stay the same on the No. 2? TIM CINDRIC: I don't think our off‑season will be any different than in the past. We'll sit down and consider all that stuff in the off‑season. We'll have plenty of time after this testing. So you know, certainly a believer in continuity to whatever extent makes sense. But we'll evaluate things in the off‑season like we always do. So I guess nothing is etched in stone. But there haven't been any decisions made to make any changes, so I don't know if that really answers your question. But first thing we need to get in place was who is going to drive the car, and then we'll go these next couple tests, and really after next week, we don't run for, really, probably until next year. So we've got a lot of time to think about it and try and understand what's the best way forward. Q. I know loyalty is a big part of who you are and you've been with Ed and Sarah and that group for a long time. Was there anybody, drivers, anybody else within the sport, that you sought for counsel to help you make this decision? JOSEF NEWGARDEN: Well, I think you're always assessing things. You're always talking to people that you're close to. And for me, it wasn't a matter of, you know, this team, that team. I think for me it came down to: Do you ever want to do something different than what you're doing currently, and if you do, is that the right or wrong decision. I think it would have been very easy for me to continue with ECR and have a lot of success and be very comfortable, and just have a great team behind me. But for me, it came down to trying to make a decision if I wanted to try something different, and specifically, doing that while I was young still in my career. If you're given that opportunity, do you want to take it? That for me was the hardest part. And there's a couple people that were close to me that I tried to bounce things off of and figure out if that was the right thing to do. I don't want to get into who they were, but yeah, you always have people that are close to you that try and help you try to sort things mentally. THE MODERATOR: Thanks, everybody, for calling in. Nice conference call this morning ... Josef Newgarden mentioned dreams but was not overly dreamy. Always focused. American Driver, American Team ... American Dream.